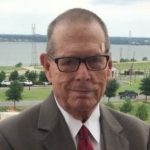 Ronald Lawrence Blackett, 84, of Granbury passed away in his home on Friday, January 25, 2019. He was surrounded by friends and family at the time of his passing. Ronald was born on June 30, 1934 in Provo, Utah, to Lawrence and Teresa Blackett. He married Beverly Pizer in 1966 and, together, they spent 42 incredible years loving their family and serving their community. Ronald retired as a First Sergeant in the United States Marine Corps after 28 years of service. He received the Purple Heart Award for his sacrifices made to serve the United States of America in Korea and Vietnam. After retiring twice, Ronald became the Commander of the VFW Granbury Post #7835 and was very involved with the American Legion. Later, he became the Hood County Veterans Service Officer, helping countless veterans receive what was rightfully theirs from 1994-2009. America lost a true patriot in Ron. Ronald is preceded in death by his parents, wife, Beverly, son, Mace Stokes, and daughter, Kristy Stigall. He is survived by his daughter, Amy Briggs and husband Michael, son, William L. Stokes and wife Chris, and grandchildren: Brittany Ivy, Michael Briggs, Jr., Haley Briggs, Alease Stokes, Sarah Stokes, Casey Stokes, Johnathon Stigall and wife Jenny, Tressa Stigall, and seven great- grandchildren. Services are pending at this time. Charitable donations may be made to the Marine Corps League or the Wounded Warrior Project in honor of Ronald’s legacy.